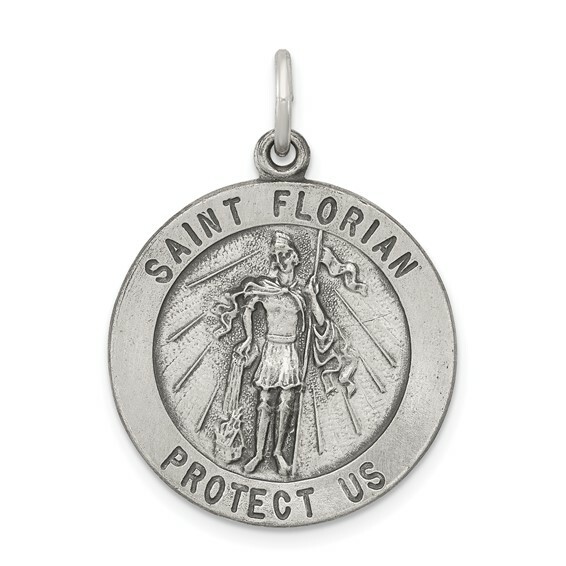 This round St Florian medal is made of antiqued, solid sterling silver. Item size: 7/8in x 7/8in without bail. This item is the size of a nickel. Inscription reads SAINT FLORIAN PROTECT US. Chain not included.